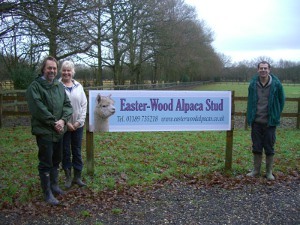 Champers and Caspar joined us from the Easter Wood Alpaca Stud in January 2011. 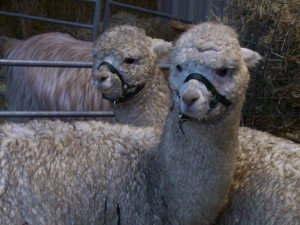 They were born in June 2010 and are non-breeding males. We will keeping them for their fleece which is of a higher quality than our sheep wool. They are both very friendly and inquisitive. They come out on selected bookings as they do not like restricted spaces and need to be on grass.